am glad I watched a Korean potter years ago, build a small oven to bake wood-fired pizzas in a matter of minutes. It didn’t look pretty but it worked just fine. 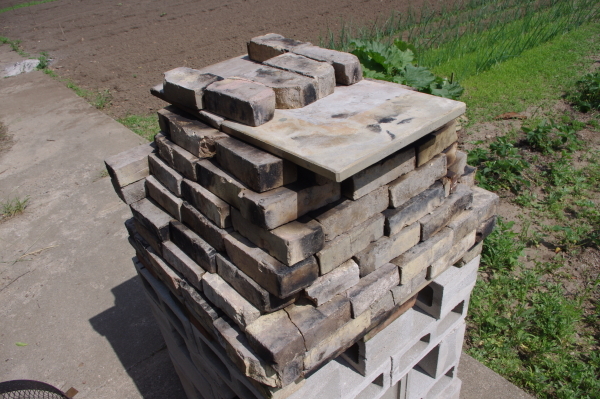 I intend to build a nice permanent pizza oven at the farm, but for Father’s Day, my siblings asked if we couldn’t make pizza, and we tried to throw something together. 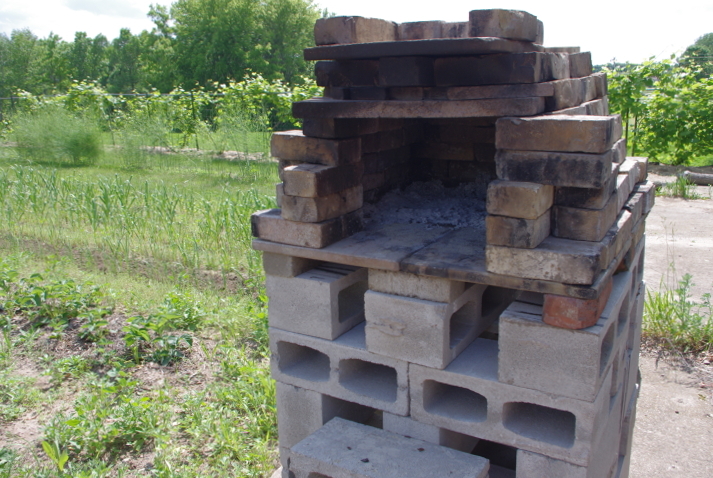 So we cannibalized an earlier pizza oven and Joe and Colin stacked up this little number: Not being sure that I had enough brick for the sides, we supported the clay shelves of the floor at their corners rather than having a continuous layer of brick under them like I normally would. This helps build a reserve of heat in the floor of the oven, which this design had less of. It wasn’t a masterpiece and with a windy day, it was pretty drafty, but, by golly, it worked!